Former WWE Tag Team Champion Masa Saito passed away at the age of 76 on Saturday. Saito passed away due to complications from Parkinson’s Disease. 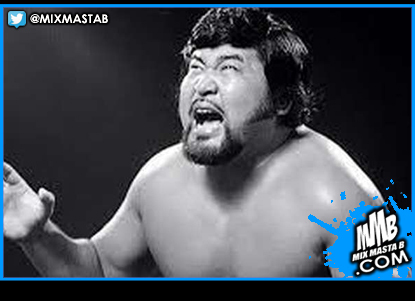 WWE is saddened to learn that Masa Saito, a former World Tag Team Champion and AWA Champion, passed away on Saturday at the age of 76. Saito’s career in grappling began in freestyle amateur wrestling, and he represented his home country of Japan in the 1964 Summer Olympics in Tokyo. Turning pro in 1965, he utilized a punishing style in the ring that made him a feared competitor in both Japan and the U.S. Saito spent time competing in California, Florida and Alabama, racking up championships before heading to WWE in 1981. Upon his arrival, Saito joined forces with Mr. Fuji, and under the tutelage of Captain Lou Albano, the two captured the World Tag Team Championship on two separate occasions. Saito later joined Verne Gagne’s AWA, where he defeated Larry Zbyszko to become AWA World Champion in his home country at the Tokyo Dome. Saito continued to compete, mainly in Japan, with several appearances for WCW, before retiring in 1999. WWE extends its condolences to Saito’s family, friends and fans.